Forking Bitcoin and making a new cryptocurrency simply by prefixing or suffixing new names is the new go-to-go in the market. And what better way to create your crypto when you have the option of forking Bitcoin and just getting the attention a new currency needs. In a way, this is the new marketing and PR route to launch your new crypto. That is why 2017 saw quite a few Bitcoin forks but 2018 is expected to see many more. Therefore, I want to share everything about these forks with all the readers of CoinSutra, so that you can claim your free money. In case you have not yet understood as to what I am talking about, I am sure you are unaware of the concept of hard forks. I’d recommend you read this first: What Does Fork Mean In Cryptocurrency? Please understand that claiming these forked coins for your free money can be risky as it involves chances that one might expose their private keys or seed keys to fraudulence. On the flip side, there are many forks created simply to scam innocent BTC holders who don’t understand much of this space. However, before I tell you about Bitcoin forks, I want you to read a guide I have specifically drafted to help an average user become smarter. Now that you know about forks and its Dos and Don’ts, let me list some of the forked coins that I think are worth mentioning and claiming. Tip To Claim Bitcoin Cash: Follow CoinSutra’s guides on claiming BCH if you haven’t claimed it yet, How To Get Your Free Bitcoin Cash on Ledger Nano S Wallet and here is Coinomi’s guide to claiming BCH: Collecting your (free) Bitcoin Cash coins. Tip To Claim Bitcoin Gold: Follow CoinSutra’s guides on claiming BCH if you haven’t claimed it yet, Claim Your Free Bitcoin Gold [BTG] From Any Wallet and from claiming on Ledger Nano S refer: Complete Guide To Claiming Bitcoin Gold On Ledger Nano S.
Tip To Claim Bitcoin Diamond: See guides by Jimmy Song and other community members on claiming this fork here and here. Tip To Claim Super Bitcoin: See guides by Jimmy Song and other community members on claiming this fork here and here. Tip To Claim Bitcoin Atom: See Coinomi’s wallet guide here for claiming your Bitcoin Atom coins in Coinomi Wallet. Tip To Claim Bitcoin Core: See Coinomi’s wallet guide here for claiming your Bitcore coins in Coinomi Wallet. Also, you may use this guide created by the community to claim Bitcore. Tip To Claim Bitcoin God: See Coinomi’s wallet guide here for claiming your Bitcoin God coins in Coinomi Wallet. Tip To Claim Bitcoin Private: See Coinomi’s wallet guide here for claiming your Bitcoin Private coins in Coinomi Wallet. You may expect more Bitcoin forks in the future but not all will be worth your time because the reward ratio and prices will be very low. However, if I find something worth mentioning, I will keep updating this list of forks for Bitcoin. I have deliberately excluded many other forks of Bitcoin because their prices are not really worth the time and risk. Lastly, the thumb rule is to keep your Bitcoin holdings in your control in wallets like Trezor or Ledger Nano S. It is only then that you can take full benefit of all the future forks that might happen. I am importing from BlockChain. i managed to import my wallet and i installed new wallet for each coin i want to claim… Then i click swipe but when i enter my key i get can not recognize key any idea on how to fix that? Please do it in a compatible formate, every wallet supports different key formats so better check that to get it going. I am not sure what am i missing i moved my main wallet from blockchain.info to coinomi…. i can see my old transactions as well…. then i try to do a sweep using that bip39 i get the error can’t recognize key…. If you can post a detailed video or guide i would appreciate it. Coinomi doesn’t support segwit address nor does it support segwit fork yet right? Yes it doesn’t support? or yes it does support? Nope, nothing from them yet on these coins. Hi, I have claimed BitcoinPrivate and Bitcore and I have just received a little fraction of my holdings not advertised ratio and I did with Coinomi . So how to claimed correct amount, if you know ? I went step by step BitcoinAtom was correct the other two no. 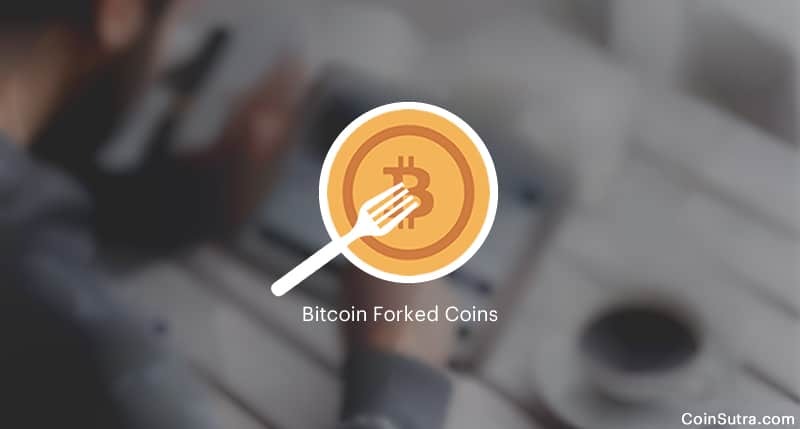 I recently bought a bitcoin fork, called BTCX2, have you heard anything about it? it claims that only certain coins where produced 21M, but every weekend they keep sending emails out that they are still not sold, and the fork does not complete, do you think this is a FRAUD or SCAM? mostly fraud. Don’t look at them. They are not worth.